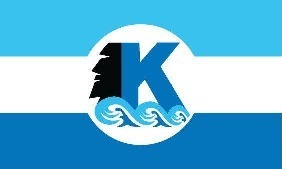 The Islands of the Fraternal Order of Moai • View topic - Now Entering The Tiki Tiki Tiki Room!!! Now Entering The Tiki Tiki Tiki Room!!! Post subject: Now Entering The Tiki Tiki Tiki Room!!! Hello all! I wanted to post this morning to announce my interest in joining the FOM! I was introduced to tiki cuture / tiki cocktails by my “cocktail aficionado” Father about 5 years ago. Since then I have been growing my knowledge base of tiki along with growing my home tiki bar! I am currently a “regular” at a tiki bar in Houston where I have met many new tikiphiles friends, including the ones that encouraged me to join!!! Lastly, I attended my first Hukilau in Ft. Lauderdale this year, and already have plans to go back for years to come! 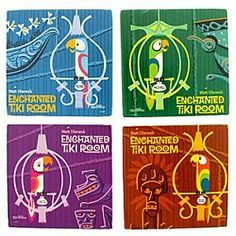 Post subject: Re: Now Entering The Tiki Tiki Tiki Room!!! Aloha! Welcome to the port! Aloha & Welcome, Fellow Texan! Aloha! Welcome to our shores! Alohowdy! Welcome to the Port! So very glad that we have finally enticed you to dip your toes into FOM waters! I know you, but others would love to know more about you. And drink it out of an old hoofprint--just 'cause you're in Texas. Where do I begin? I'll start off by saying i'm usually the youngest one at most tiki events, (Hukilau confirmed this) but hopefully that allows me to spread the stoak to the younger generation. I'm an avid Jeeper and a mechanic at heart! When i'm not in the mountains (hills in TX), im on the beautiful beaches of Galveston. If i'm in neither of those places i'm sipping on a Mai Tai at Lei Low. My Dad and I now have a running competition that spreads 1,600 miles of who's drinking the better cocktail that evening! PS I usually win, even when he's sipping in the Big Apple! But of course most of the credit goes to the amazing Bartenders around Houston and G-Town. I have found tiki as a way to relax and sit back to take in the moment. The more moments the better! Favorite Jeep maker- Willys, Ford, Kaiser, American Motors or Chrysler? Disneyland, Walt Disney World or Tokyo Disneyland version of the Tiki room? Personal Statement: Why be normal? Hooray for more Texans! I miss the Lei Low, but the bulk of my Texas trips are to Arlington. Texas Tiki Week is coming up, hopefully you can make the trip over to Austin!